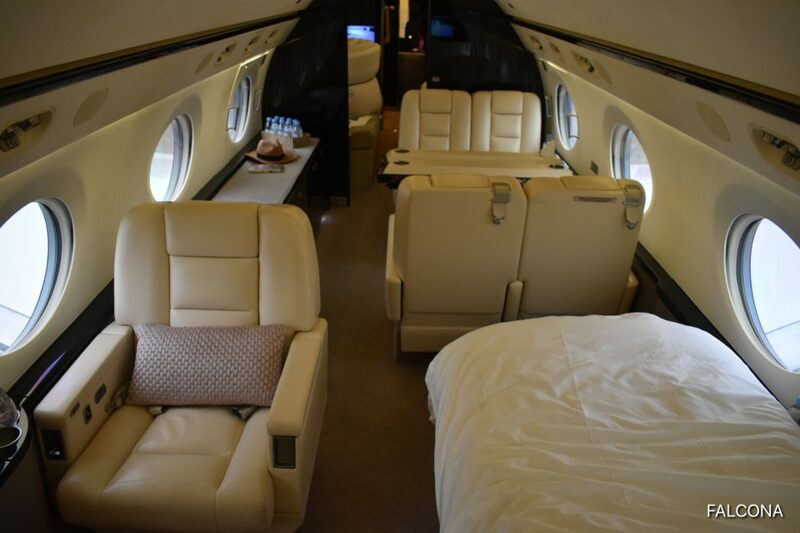 The Gulfstream G550 is designed to assist you in achieving productive yet comfortable surroundings for long range travel. With its ultra-long range capability and short range efficiency, the G550 proves its time saving abilities with ease. The world’s most remote destinations become easily accessible, and worldwide city pairs are never more than a single refuelling stop away. 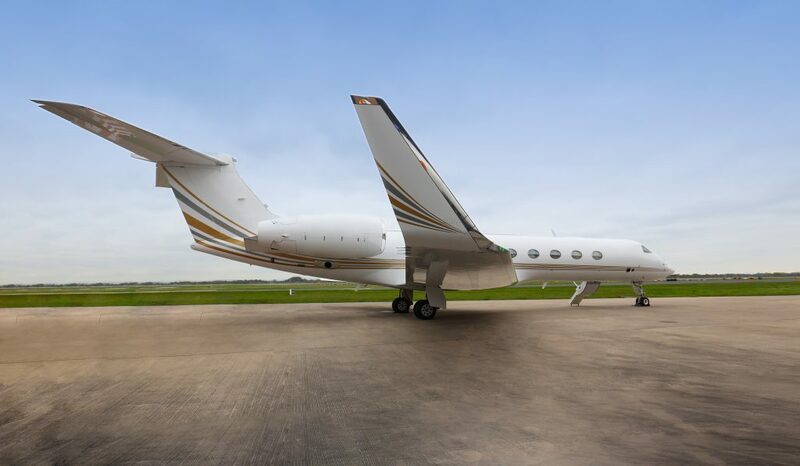 A favourite of our clients, who want to experience travel at its best choose the Gulfstream G550. Featuring multiple cabin zones the G550 enables you to take yourself from a working environment to an enclosed relaxed place, and even into sleeping quarters, making working and relaxing on the move the very best it can be. Sleek engineering and power, enables this aircraft to carry you further and faster than other business jets in its class. It’s capable of flying up to 6,750 nautical miles or 13.5 hours. It’s the perfect aircraft for those long range business flights. Capable of flying direct from Manchester to Tokyo, New York to Dubai and Shanghai to Los Angeles. 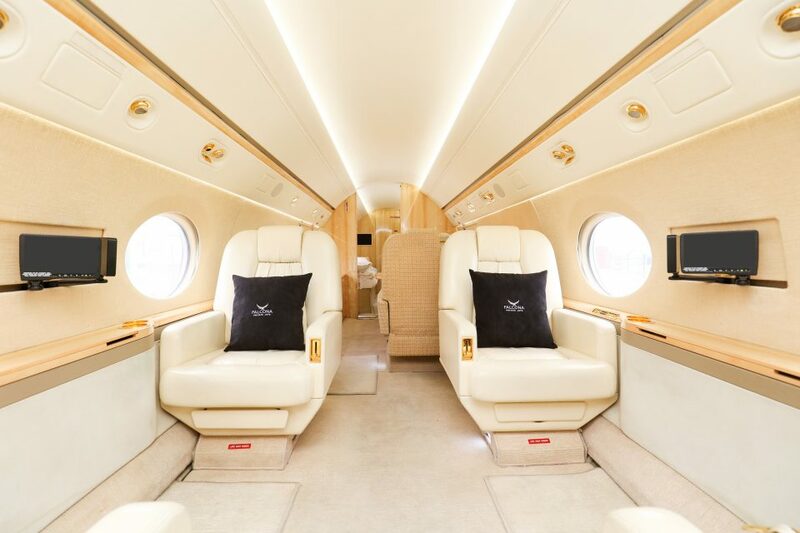 The world’s best selling intercontinental business jet has a spacious stand up cabin with over sized panoramic windows, a full service galley and can seat you and up to seventeen other passengers in unrivalled luxury. Onboard you will experience an extensive range of facilities that allow you to continue with business or you can simply relax. Start with 14 Gulfstream signature oval windows to infuse the cabin with natural light. Introduce only 100 percent fresh air and combine that with cabin pressurized to a very low altitude. The result is subtle, but effective. Plentiful natural light and fresh air help passengers stay alert and focused. Low-altitude pressurization requires less exertion from the body and ensures passengers arrive at their destinations refreshed and alert, even on the longest of flights.